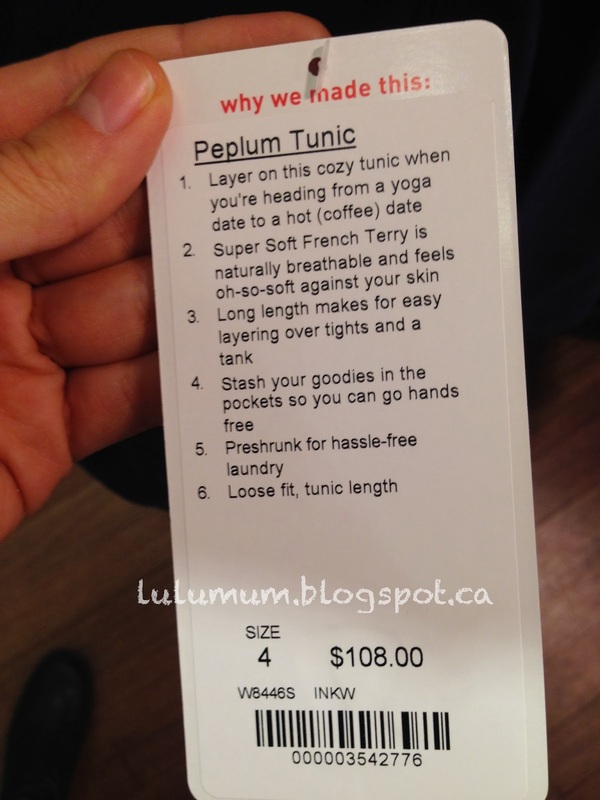 Thanks to lovely reader Ms. L for spotting this in a US store and taking a snapshot for us. 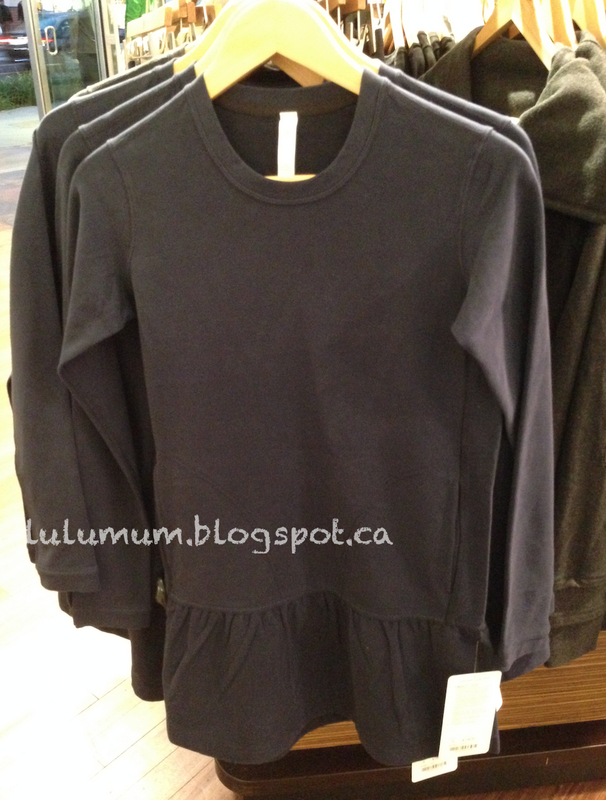 Its a new cotton french terry Peplum Tunic Sweater. My 3 year old has one in purple. Seems to have hip pockets as well.